Mark Zuckerberg was full of surprises Tuesday. The Facebook founder and CEO revealed that he's training for a triathlon and broke his left arm last week after falling off his bike. Zuckerberg admitted his injury to comedian Jerry Seinfeld during a Facebook Live chat. Zuckerberg said he was on his first ride and almost immediately stopped at a stop sign but didn't unclip. "[I] fell, braced, broke my arm," said Zuckerberg, pointing to his injury. "I think I need to ease into this triathlon thing." He hasn't been wearing a cast or sling because it's a small fracture that can heal better with continued mobility, he explained. "My wife wants me to put a temporary tattoo on it that says 'broken,'" Zuckerberg said. "I actually think it's a terrible idea." Seinfeld was visiting Facebook's headquarters in Menlo Park to promote a new season of "Comedians in Cars." Zuckerberg pulled him in for the last 15 minutes of the hour-long Q&A as a "random" guest. 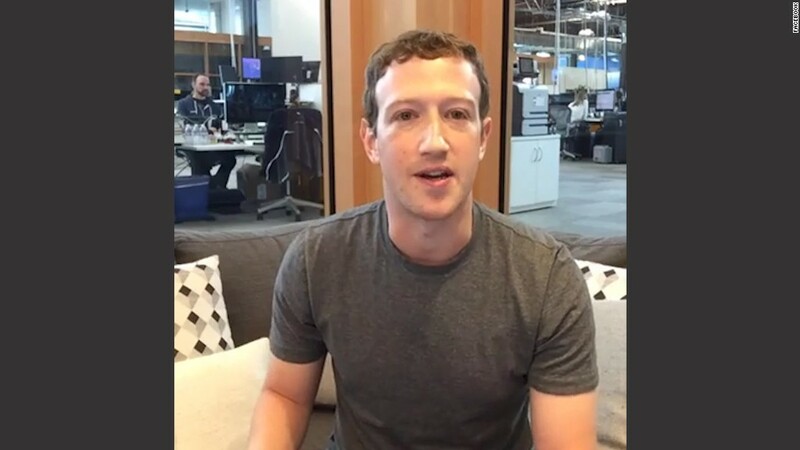 Tuesday marked Zuckerberg's ninth Q&A broadcast video and the first time he used Facebook Live to answer questions. Since late 2014, Zuckerberg has answered questions from live audiences in townhall-style meetings, as well as from posts on his timeline. During these public sessions, Zuckerberg has been asked about everything from his choice in apparel and career advice, to his vision for Facebook's future. There's also at least one or two tough questions about Facebook's policies -- especially on global issues and monitoring what people post. Zuckerberg tackled the Orlando shooting right off the bat in Tuesday's Q&A, expressing sympathy for the families of the victims. "I know it's on so many of our minds," said Zuckerberg, who started the chat by himself in a Facebook conference room. "One of the things that I'm so proud of is that whenever there's a tragedy around the world, we always find a way to come together." He cited the way users shared links to donate blood as an example of the support. But he didn't mention the fact that Facebook turned on its Safety Check feature for the shooting -- the first time it was used in the U.S. -- or the creation of a special profile picture filter to show solidarity. But those tools also helped spread awareness of the tragedy and grab people's attention. Facebook Live is a fairly new feature that launched globally earlier this year. While live broadcasts have given people another way to make videos go viral, it has also helped criminals document their offenses. A deadly stabbing in France Monday night is the latest example. A man who pledged allegiance to ISIS killed a police officer and his wife and then live streamed the aftermath on Facebook. Zuckerberg acknowledged the incident but did not address what Facebook can do to stop these broadcasts from happening.